entreVIEW: What Would Brandeis Think? What would Brandeis think about Snowden, the Internet, Google Glass® and drones? I am not sure what his views would be on new technology or government surveillance, but I do believe that Brandeis would have enjoyed A Legal Guide to Privacy and Data Security, a Minnesota CLE class presented this past Monday, and that he would have found the presentations and discussions intriguing. The CLE, attended by over 150 lawyers, covered issues from the origins of privacy rights to issues of data breach and security. Topics also included big data as well as key federal, state, and global privacy laws and regulations. The Privacy Guidebook prepared by Gray Plant Mooty was used as the written material for this CLE. 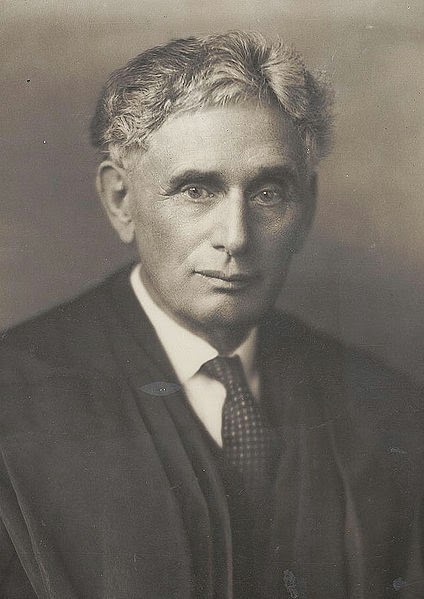 Brandeis became a champion of the right to privacy during his tenure as a member of the Supreme Court from 1916 to 1936. Jurists have continued to expand upon his early views on privacy and still look to his Olmstead dissent and his law review article as support for further legal protection of privacy. While you may have missed your opportunity to attend a live presentation of this CLE, there will be two video replays in Minneapolis—September 4 and September 23—with others scheduled at later dates in Duluth, Mankato, St. Cloud, Marshall, and Moorhead. Click here to view the CLE brochure and information on the video replays.